****** LARAMIE ***** CUMMINS DIESEL **** BLACK OUT EDITION **** This is one AWESOME looking truck! 2015 Ram 2500 Crew Cab Laramie 4x4 with all the options and the big 6.7L Cummins Diesel. If you were to build the ultimate truck, this would be it! 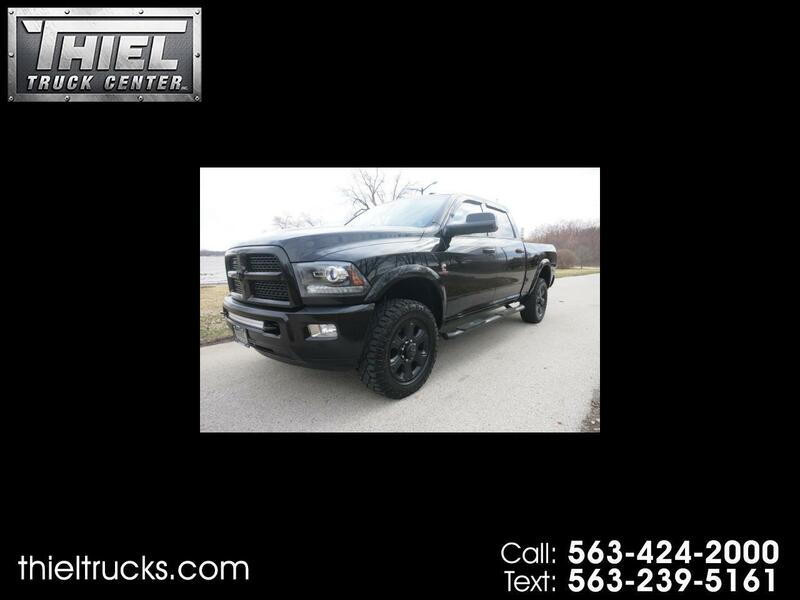 The Ram is optioned with Leather interior, Moon roof, Navigation, Heated and cooled seats, Heated steering wheel, Back up camera, Spray in bed liner, Step tubes, Tow package, Tow mirrors, Trailer brake controller, Bluetooth, Power rear slider, 20 Inch wheels, Custom light bar, and much, much more! Under in hood is a 6.7L Cummins diesel that has an EGR delete, DPF Delete, and custom exhaust. This thing runs and sounds AMAZING! The Ram is also a Carfax Certified 1 Owner and 100% Accident free. It also comes with service records and Newer Goodyear tires. The only thing better than this truck is the price. Book value on this truck is over $43,000. Our price is just $37,995, saving you over $5000! This truck will not last long. Call or text us now before it is gone.